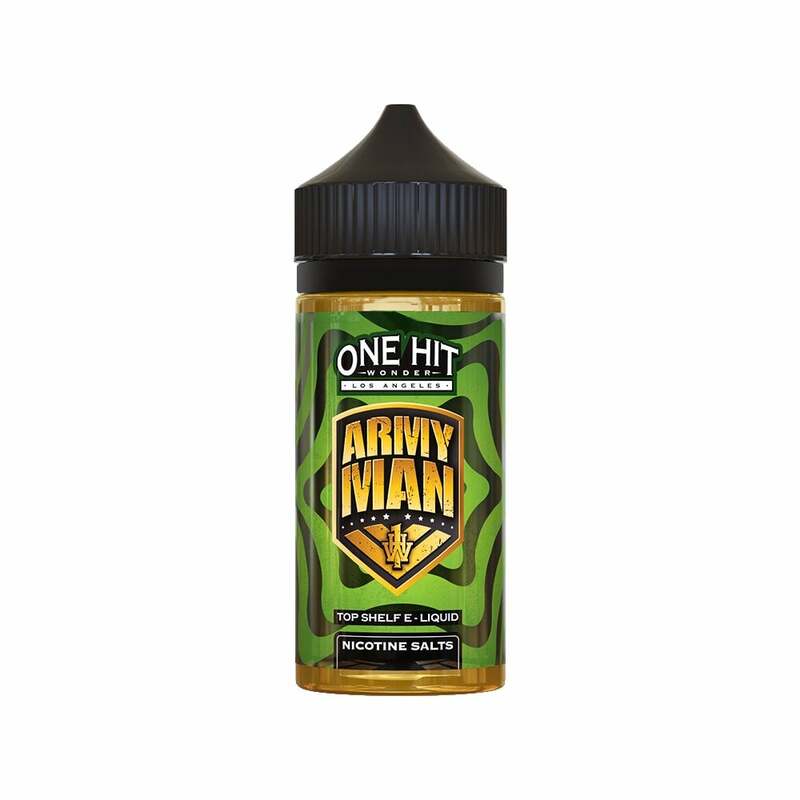 Creamy, tangy and backed with a nic salt formula, Army Man by One Hit Wonder is a deliciously authentic key lime pie vape juice with an extra-satisfying finish. Sweet cream layered on top of zesty key lime with a high-VG formula for a smooth and cloudy vape, One Hit Wonder's Army Man will unleash a deliciously fruity flavor assault on your taste buds. This vape juice by One Hit Wonder comes with a nic salt formula that's ultra-satisfying and super-smooth. Just okay for me. Not enough lime flavor for my tastes but it's alright. Good flavor, I got the crust flavor to begin with. Now, it's mostly just lime. Regular lime, like any other lime flavor. Love Army Man! The key lime flavor is great! Not too sweet, and not too much lime. Perfect if you like key lime pie! This has become my new favorite! this is my favorite so far out of all the salt nics I have tried!! Very good keylime pie flavor that is not over powering or overly sweet. Wasn't to sure about it at first but i was using some different cotton tjan i normally use. its stayed in my sqounk all weekend since i got it. It's definately a nice flavor, plus its nic salts, so win, win.